This week, we put the spotlight on invasive species and how these non-native plants, animals, and pathogens damage California's economy and environment. Shot hole borers and the diseases they carry, and Asian citrus psyllid and huanglongbing disease are serious invasive pests of concern. Do your part to help prevent their spread. If you go camping this summer, don't move firewood from your home to the campground. 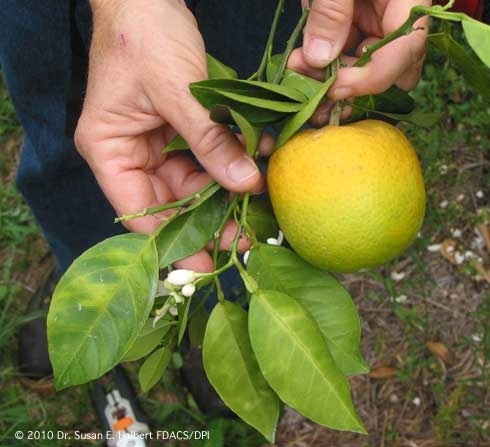 For backyard citrus growers, find out if you are in a quarantine zone for Asian citruspsyllid. You can make a difference. Read the posts above to find out how. You can also contact your local UC Master Gardener Program or UC Cooperative Extension Office to learn about invasive species that may be found in your community, or you can volunteer at a local park, refuge, or wildlife area to help remove invasive species.